3. A motion was made by Mark Herbert to accept the minutes from the general meeting on April 13, 2015. The motion was seconded by David Chapnick. The motion passed. A motion was made by Ted Brownstein to accept the Treasurer’s Report. The motion was seconded by Linda Brower. The motion passed. Lake Worth Mayor Pam Triolo (with comments from Vice Mayor Scott Maxwell). She spoke about progress made in the city and the hard work ahead. She encouraged residents to contact her with concerns or questions. Lake Worth District 4 Commissioner Ryan Maier. He reiterated his commitment to representing us as a district and as a city. You can email him with questions at rmaier@lakeworth.org. Captain Silva from the Palm Beach Sheriff’s Office (along with Deputy Chris Johnson, Neighborhood Program Director Benito Gaspar, and Deputy Will Negares). Captain Silva continued to encourage residents to call the PBSO to report suspicious activity. He also stressed that if during the call to the PBSO you feel you are not getting the service you deserve, or if the service is unprofessional, ask to speak to a supervisor and / or let his office know about it. 6. Maryann recognized Sharon Chapnick (by presenting flowers to David Chapnick in her absence) for all of the work she did on the grant applications. David reported that, while some language regarding the grants needs to be fine-tuned, the REAP grants awarded were announced. Regarding the neighborhood crime watch grant, SPPA submitted a total budget of $7,500. Of that, $4,200 was to be donated. SPPA requested $1,800 from the county and was awarded $2,200. There is no reserve requirement for this grant. Regarding the communications (welcome package) grant, SPPA submitted a total budget of $8,200. Of that, $5,000 is to be donated. SPPA requested $3,185 from the county and was awarded $3,200. There is a reserve for this grant of approximately $686. David made a motion to accept the REAP grants and to hold back a reserve of $800 from the general treasury for the communications grant. The motion was seconded by Cheryl Rashkin. The motion was accepted. As a reference, 100 groups started the REAP grant classes / process. 45 groups actually applied for grants and 25 groups were awarded grants. 7. Chip Guthrie confirmed a donation of 12 royal palms to the SPPA. He has also done an assessment of potholes in our neighborhood. He will report those to Maryann. If you see a pothole by your house, please report them to Chip. 8. Chris Diserio reported that the neighborhood crime watch meeting for April was canceled due to rain. The meeting was rescheduled for May 18 at 6:30 in South Palm Park. 9. Social Committee report. Danielle Herbert reported that the Progressive Dinner was a huge success with over 60 people participating. Big thanks to Daren and Teresa Hamberger (appetizers), Mark and Danielle Herbert (entrée) and Jim and Kingsley (dessert) for hosting and for all of their hard work. Special thanks to Loretta and Brian for providing and preparing the entrée. It was appreciated by all who attended. Because of the success of the dinner and the large number of attendees, there might be a modest increase in the price and some adjustments to the start times for next year. Please volunteer now if you would like to host or help with next year’s event. The Chapnicks have agreed to donate chairs to be used for future SPPA events. The Social Committee would like to plan another event. Several ideas were discussed. 10. Art and Joanne have agreed to help organize a clean-up on Lakeside and Palmway. Details are pending and please volunteer if you are able. 11. Theresa DeVeaux reported that she has more welcome bags to distribute. If you have any new neighbors, reach out to Theresa for a welcome bag. Please give her a couple days to prepare the bags. Maryann mentioned that Theresa has been doing the welcome bags on her own dime and mentioned that a motion was passed at the board meeting to reimburse Theresa for welcome bag expenses going forward. 12. Raft Race report. This year’s festivities will include the race and a skit. Much work needs to be done to prepare. Anyone interested in helping, please reach out to Maryann. 13. Please do not call Maryann to report suspicious behavior. Please call the PBSO directly. Emergencies call 911. 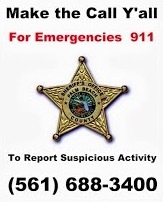 561-688-3400 to report suspicious activity. 14. There will be a SPPA meeting in June. It will not be mandatory, strictly voluntary, but with so much going on with the SPPA, it will be helpful to have a meeting in June. It will either be at Maryann’s house or in the park. Details pending. 15. Directors / Block Captains. Please continue to pass out flyers announcing the general meetings. There were not that many distributed this month. If you need them printed out for you, please ask for help. Joining the SPPA Facebook page is another way to stay informed. 16. Thanks to the Beach Club for hosting us once again and providing the gift card for the raffle. Congratulations to Chris Brownstein, Linda Brower and Paula Broughton who were the evening’s big raffle winners. 17. There is a Hurricane Seminar on May 21. 18. NAPC ads are still available in the Neighborhood Guide. See Chip if you are interested. They are given out at the Visitor’s Center. $200 for a half page and $300 for a full page. They go to new residents. 500 have been given out in the last month alone. Participation brings in business and shows that you are supportive of the Lake Worth neighborhoods. 19. Thanks to Bill and Lynn, Ron and Don, Loretta and Brian, Joanne, Lynne, Art, Bonnie and Martha for volunteering for the Front Porch. $34 in tips from selling beer was raised for the SPPA. $71.37 in tips from selling beer at the street painting festival was earned as well. 20. A motion to adjourn was made by Daren Hamberger. It was seconded by Bill Foley. The meeting was adjourned at approximately 8:40.